There are times when you take the best care of your teeth that you can, yet they still aren’t as white as you might like. Years of drinking coffee and eating foods that stain your teeth can impact the colour. However, you may worry that getting your teeth whitened will cause them to be even more sensitive than they already are. Fortunately, there are solutions for professional whitening even if you have sensitive teeth. One of the side effects of teeth whitening is increased tooth sensitivity and gum irritation. During your bleaching session, you may feel a few twinges as the teeth are whitened, but if you begin to experience serious pain or concerns, you’ll want to have a way to signal to the dentist so the process can be stopped. Before the session begins do let the dentist know that your teeth are sensitive and that you’re worried you may experience pain during whitening. The two of you can then come up with a hand signal in case you need the process stopped. Dentists typically do not numb a patient’s mouth before treatment because a sign of pain may signal that the teeth have been whitened as much as they should for that session. Also, because gums are soft tissue, dentists use a dental dam to protect it from the laser during treatment. While rare, pain can signal that the dam is leaking and soft tissue is being damaged. If you worry the in-office procedure may increase tooth sensitivity, you can also ask our expertly trained dental professionals about at home whitening solutions. We can work with you to create an at-home system of trays that is a bit gentler. 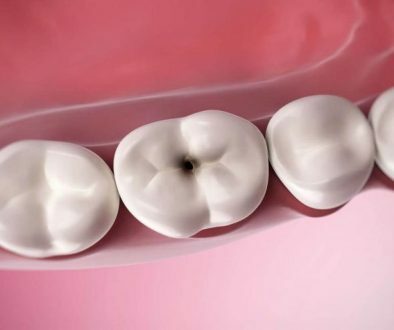 No matter what type of whitening solution, your teeth may experience some sensitivity following treatment. Be prepared to avoid extremely hot and cold foods immediately following treatment to lessen pain from sensitivity. 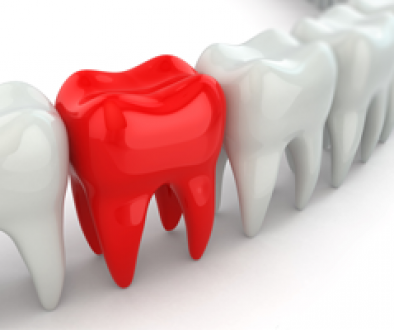 Most of the time, any thermal sensitivity will lessen within a few days and your teeth will return to normal. If it does not, you should contact your dentist and report any issues you’re having. You can use a sensitivity toothpaste to help with the sensations as well. If you desire whiter, brighter teeth but you’re concerned about sensitivity issues, chat with the fully trained staff to find out what your different options are for safe teeth whitening.